1. The Experience Belongs to the User: “Designers do not create experiences, they create artifacts to experience”. In 52 Weeks of UX the authors say that we need to “design the framework within which people experience our product/service. If our framework is solid, then great experiences will be a common occurrence”. When planning out an idea it’s good to use diagrams to map out the campaign framework. You will see where the dead ends are and how doing one thing can lead to another. Your idea will become multi-dimensional. 2. 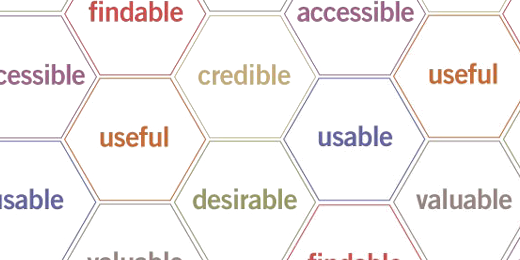 UX is Holistic: “The experience is not just the product anymore. It is made up of all touch-points of a larger system, from the product to the support to the way your neighbor talks about it”. Porter & Brewer use the word system for good reason and campaigns can also be designed with this systematic approach. Only by mapping out the connections of every part can we expect our audience to be able to fully engage and have a meaningful experience. 3. Great User Experiences are Invisible: “When people are having a great experience, they rarely notice the hard work that has been put into place to make it happen”. Same goes for good campaign planning. Nobody should feel that a brand is forcing them to do something that isn’t a natural response. When a person engages with your campaign their next action should flow naturally. They should not feel like they have to jump through loops. 4. UX is a Lifecycle: “People experience the world over time…nothing happens at once”. When we create campaigns there is often a sense of panic that we have one shot to get the attention of our audience or else they will be lost forever. But if we can create an idea that is not just big but also long then we give our audience time to be drawn into our message. Just like in UX design we need to fully understand our audience, how they behave and what influences their decisions. If our campaign fits the audience mindset like a glove they will be more likely to take the step to engage. Make sure you have real insights as a solid foundation to build your ideas upon. 6. Great Experience is about Control: “The worst feeling in the world is to feel out of control. When people feel out of control, they simply don’t have a good time”. Porter and Brewer make a great point that is totally valid when it comes to creating effective marketing campaigns. Make sure your audience feels like they are the ones making a decision. Ask their permission, make them feel enabled or (better still) give them a sense of ownership as participants in the campaign. It’s just the same with a marketing/advertising campaign. Social media will influence their opinions and actions. It also gives people great power of influence over others. The success or failure of your plan could depend on positive word of mouth so this must be built into your framework. It means listening as well as communicating. 8. Psychology is Primary: “Software is getting easier to use all the time. The one with the psychological edge will win. This means that we have to dive deeply into the psychology of use, play, product adoption, and social interaction to create the best experiences”. Sometimes when creating campaigns agencies can be a bit superficial when it comes to deeply understand their target audience’s psychology, their motivations and triggers. Take time to truly understand who you want to engage with so your campaign has the best chance to succeed. 9. 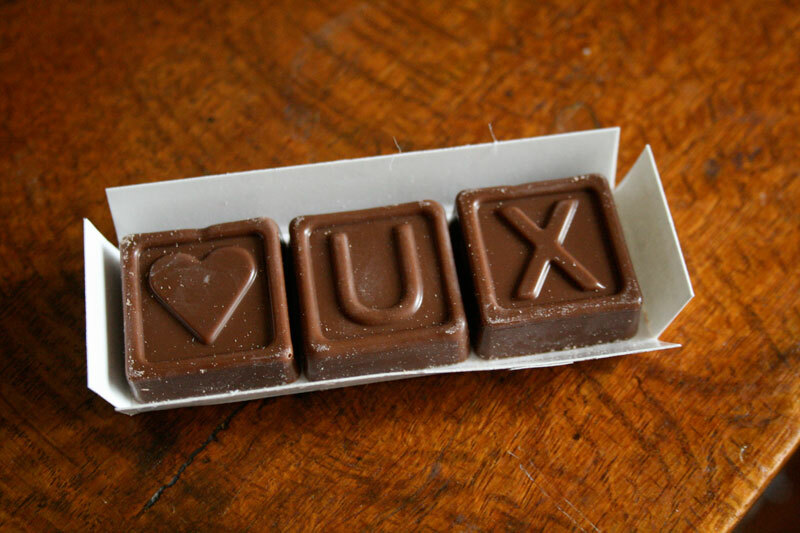 UX is a Conversation: “UX, like marketing, is a conversation. As UX professionals we are creating a dialog with users in which the goal is to find out how we can best help them do what they want to do”. The authors of 52 Weeks of UX see the relevance of this point to marketing and how it applies to UX. Marketing as a conversation has been a hot topic at award festivals these past few years but it isn’t easy to get it right. Who is in charge of managing the conversations? Not just between a consumer and the brand but between groups of consumers. It can easily get messy so plan for all contingencies. 10. Great Experiences are Simple: “Simplicity is much more than the trite “less is more” we so often hear. Simplicity is not about volume; it’s about clarity”. Watch a few case study videos and you’ll soon see which campaigns didn’t fully succeed because they were so complex. Our target audience is bombarded with brands trying to get their attention. We need to find a way to stand out with a campaign idea but keep it so simple that people just get it. It’s clear what the message is and how we want the “user” to engage. Brilliant but simple. Check out the 52 Weeks of UX as it’s full of great thoughts that go beyond building websites or software. As we see these tips can be applied when it comes to creating effective marketing campaigns. You could even apply UX thinking to the internal process of a company. Or maybe to your own career path or personal life. For creative people like myself it’s never a bad thing to bring some order to the chaos. You are currently browsing the Confessions of a Digital Adman blog archives for August, 2012.